We realized that in a country with an eternal shortfall in power generation demand, the consumer would decide that unfailing power back-up solution is an inevitable, not a luxury. And we were determined to offer India, the optimum products based on the most sophisticated technologies. That intention grants sunrise to Solariz. Originated on an entrepreneur’s imaginings of building a business to challenge the world’s paramount. Footing on a stiff groundwork of technology with the guts to take the creative dive into principled novelty. Adopting moral business practices, the company has engraved a position as one of the trustworthy service provider in Renewable Energy Generation and Technologies(ReGen Technologies). It includes Solar Photovoltaic Power Generation, Solar Home Lighting System, Solar Home UPS, Solar Street Lights, Solar Water Heating System and Wind Power / Pumping System. 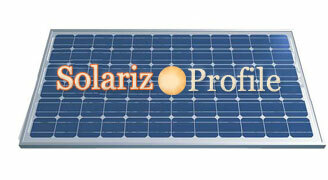 We have schemed into the realms of delivering of Solar / Wind Energy Products lucratively. In addition, We are manufacturing and supplying energy efficient LED lights. Enlighten homes, workplace, streets and communities, pump water to thirsty fields and heat water for residential and commercial hygienic applications etc is powered by our expert’s outstanding performance that incorporates custom-made solar and wind solutions. Extensive sectors like education, banking, health and telecommunications also utilized unfailing and cost-effective renewable energy generation (regen) sustained through Solariz products. We deliberately take care of excellence of the product at every step of workflow right from model to delivery. We offer clean power for every application and market, from solariz’s standalone and grid tied system, to small home and to big plants. The guarantee of solar and wind power is vitally significant in challenging today�s energy demands in an environmentally perceptive way. For Solariz, hope on stack of success make a gestures.